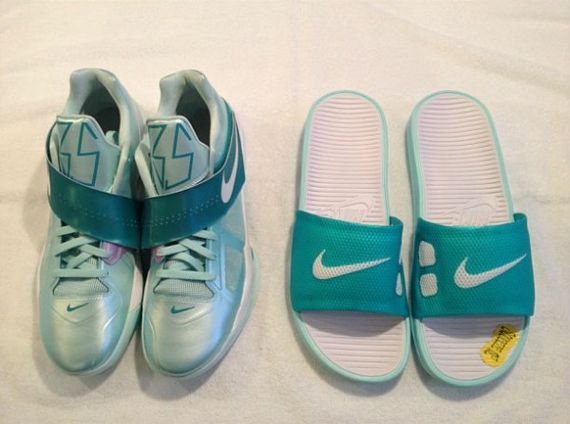 Looks like the Nike Zoom KD IV had “Slide” versions in store late 2011 and early summer when the “Easter” Nike Zoom KD IV released. 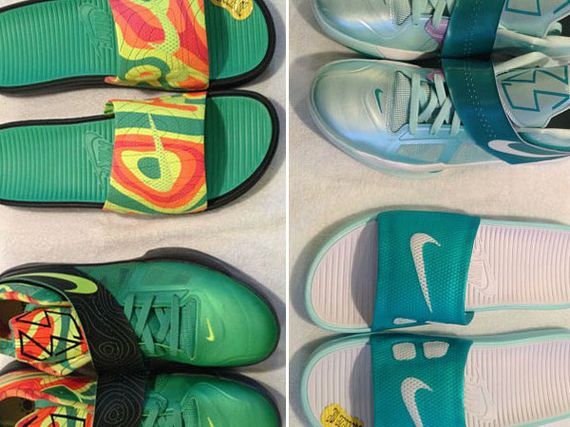 Here we see two sample versions of the slide, one sporting the “Weatherman” style graphic on the strap, while the other features the Easter color tones. 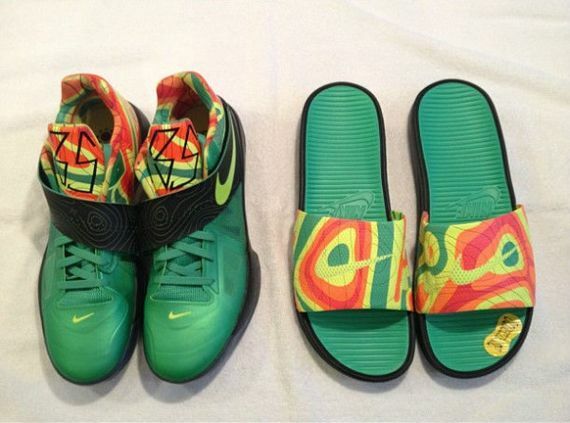 Stay tuned with Modern Notoriety to see if these release.